How can organisations get a better grip on their information assets, and what aspects are there to master? 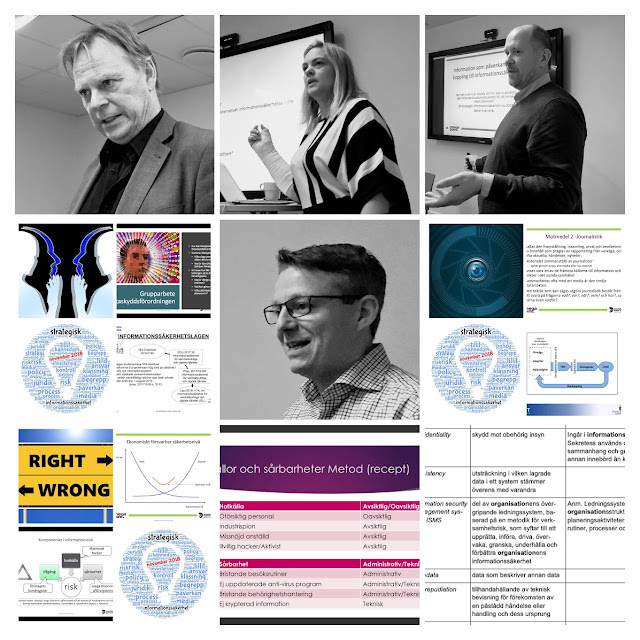 In the March edition of Strategisk Informationssäkerhet with five guest lecturers, Information Architect Tina Lindevall of Huddinge kommun made the case for Information Cognizance (Informationskännedom). Other guest sessions covered Security Law, Policy and Classification, educating co-workers and Security Strategies. An individual assignment as well as two group exercises provided a bit of practice. 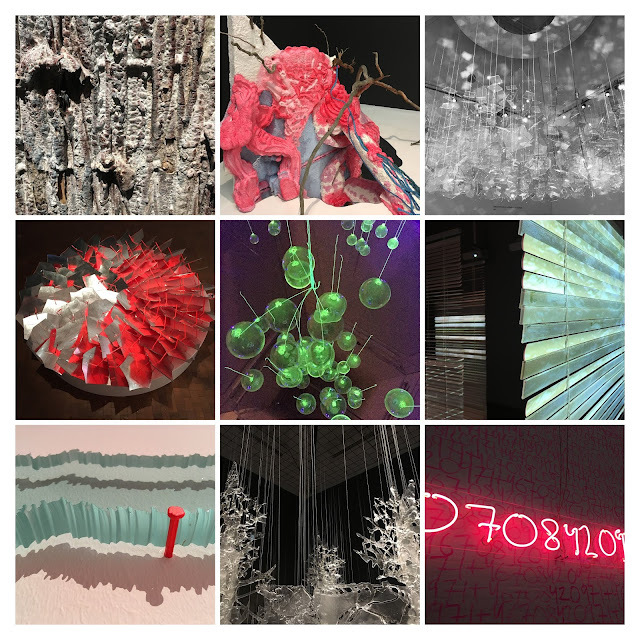 Glass art - basically pretty and harmless? Hardly. One 2018 highlight was the Dunkers group show Walk The Line showcasing nine different artistries having glass as a common denominator. Terese William Waenerlund, Åsa Ljungnelius, Birgitta Ahlin, Sirkka Lehtonen, Nina Westman, Ditte Johansson, Ingalena Klenell and Fredrik Nielsen made it clear that Swedish glass manufacturing is alive and kicking. At least one coat got too close for comfort during the exhibition weeks. Hardly harmless material! 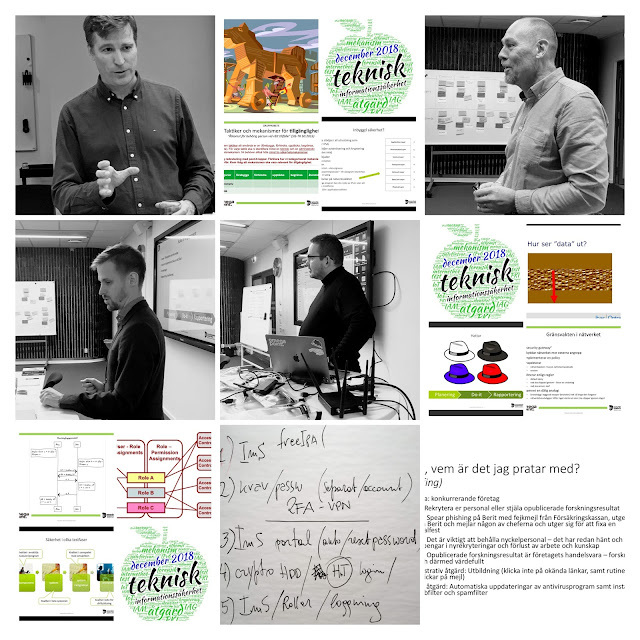 A fully booked recent edition of Teknisk informationssäkerhet at DF Kompetens offered group exercises about availability, Threat Analysis and PKI/IAM. 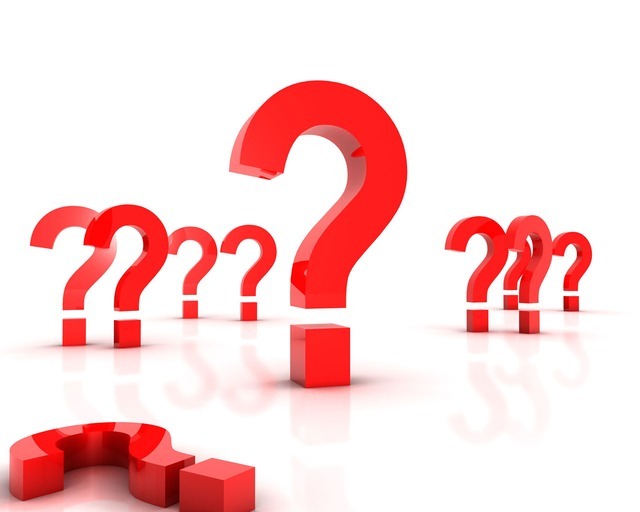 What does a security officer need to know about ordering a Penetration Test? From scoping and 'rules of engagement' to report and confidentiality, Joel Harsten took us on a guided tour. Our guest lecturers also covered Digital Self Defence, cryptography and data recovery. An individual assignment on security measures for travellers preceded the course. Infosec pros must find ways to bridge the knowledge gap at home. In the November edition of Strategisk informationssäkerhet, Hanna Lagerquist stressed the importance of motivating co-workers through effective, targeted training. Our four guest lecturers also covered Security Law, Security Strategies and Security Processes as well as Information Operations. 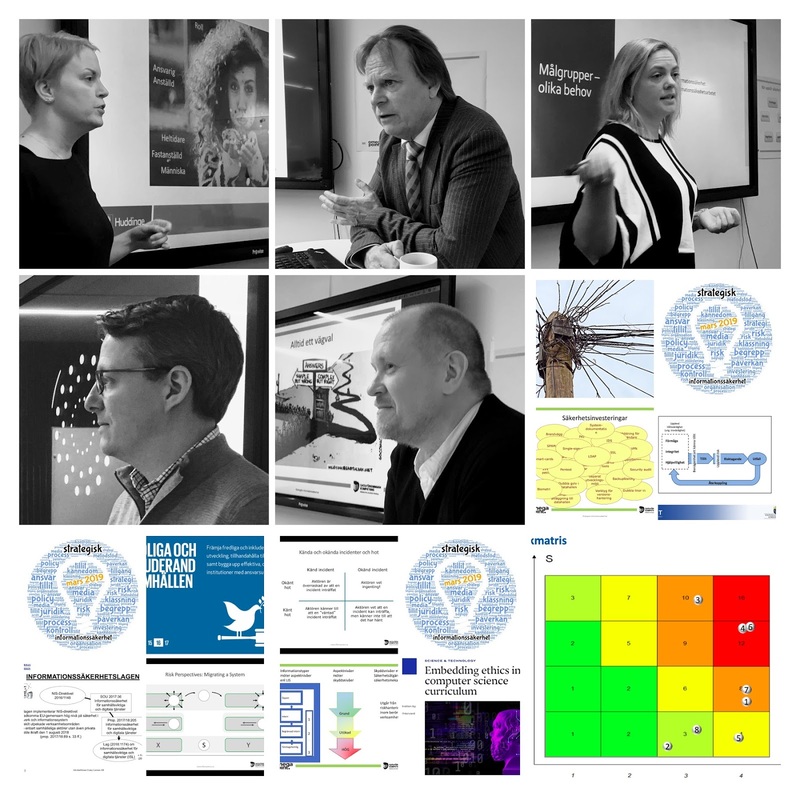 Participants did an assignment on analysing organisational context plus team exercises on Data Protection, Information Classification and Risk Analysis. Produced by Bildmuseet and showcased in Malmö, the exhibition Perpetual Uncertainty was one of my artsy highlights of the year. The name refers to long-lived effects of nuclear technology. The exhibition mixed peaceful nuclear power with military applications, which is something I find counter-productive. How can we communicate danger (think waste disposal site) to our descendants when our civilisation is long gone? This relates to my teaching on how we can archive data but not information. Involve users and build motivation rather than relying on paragraphs. Create simple plans. Try to frame quality as fun. 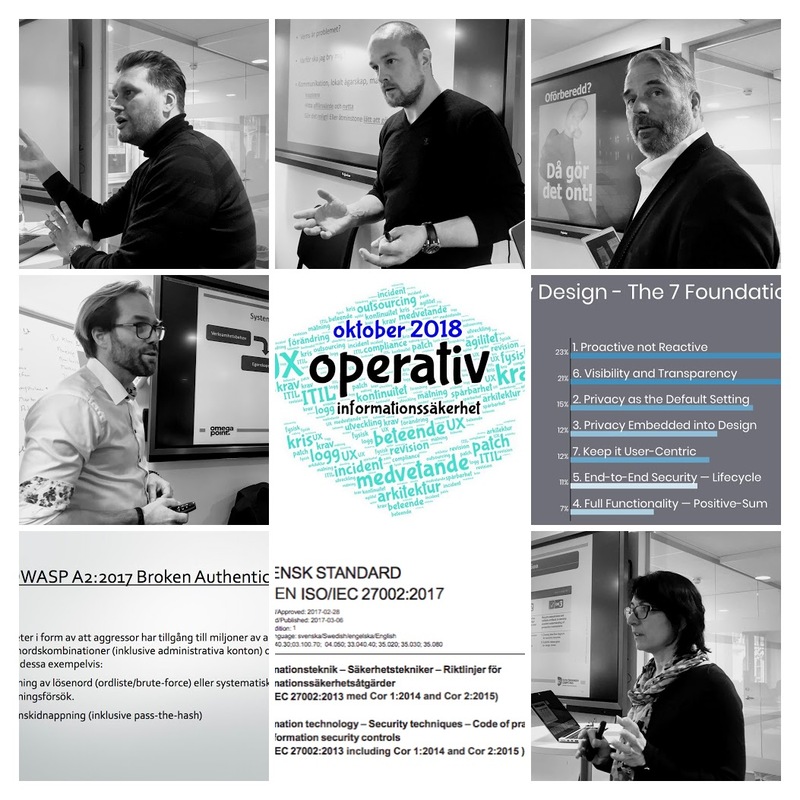 In the October edition of Operativ informationssäkerhet, Andreas Sjödin made the case for driving sustainable change in Business Continuity. Our sextet of guest lecturers also covered Safe UX, practical Crisis Management, Security Architecture, Agility & Security and Secure Development. Participants did an assignment on Privacy by Design plus team exercises on OWASP Top 10 and ISO 27002. How can Compliance as Code and Continuous Delivery be cornerstones of applied Information Security in the financial sector? In the September edition of Strategisk Informationssäkerhet, Mark Strande of Klarna was one of five guest lecturers sharing their insight. 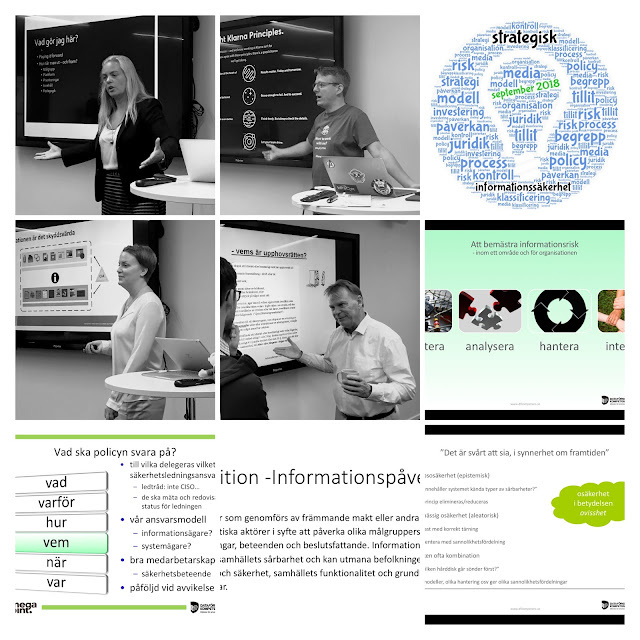 Other guest sessions covered Security Law, Influence Operations, educating co-workers and Information Cognizance (Informationskännedom). Nineteen participants equals a fully booked course, hence I will host an extra edition in November. 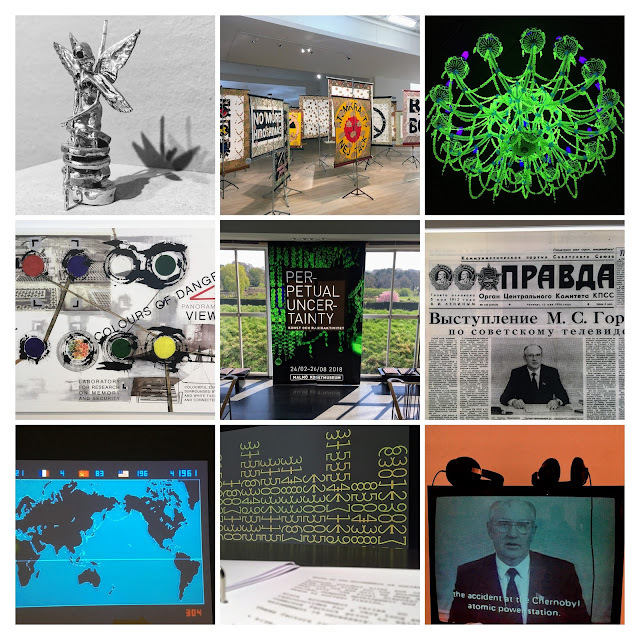 I'll be doing a bit of course blogging, sharing ideas and occasional glimpses of draft material from upcoming courses. I will be using tweets (mostly in Swedish, unusual for me) and collect these in Twitter Moments - a format I have yet to explore. My goals are to "think aloud" when developing new material, while being more transparent about course content. Consider it an experiment, we'll see how it turns out. As always, your feedback is welcome. The "Teaching" Moment (below) will be updated. If you throw a fair dice, you don't know the result in advance. Throw a thousand dices, and it's a different game. Each outcome is associated with a known probability. When you assess Information Risk, you also don't know what will happen. (Risk is about the future, right?) Worse still, probabilities are unknown. You can guess of course, and so people do: "likelihood 40%" and so on. What we have is genuine uncertainty. This is an aspect of risk assessment that needs to be better understood. From critical thinking to practical impact - returning from SRA Europe in Östersund. Not being a researcher, I'm obviously more of the "practical impact" type. 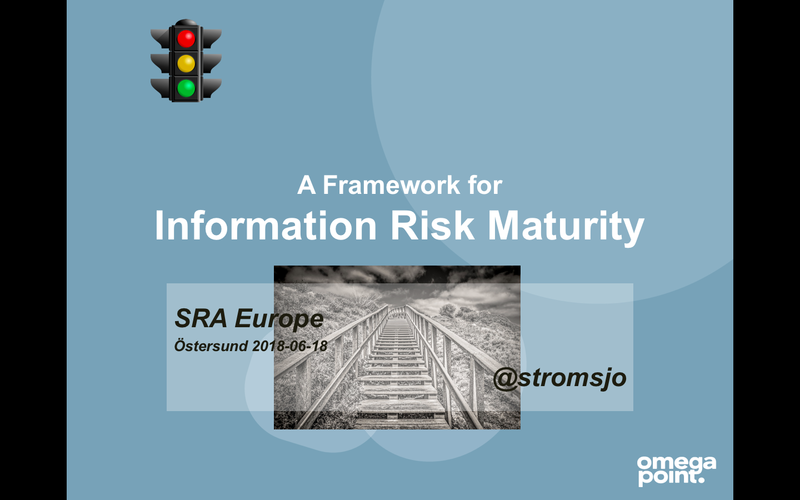 My contribution was a talk about Information Risk Maturity. I'd like to think this marks a new phase for me. From attending product conferences to attending academic conferences to giving presentations there as well. There's no shortage of sophisticated theories on risk. I chose to share a low-entry approach from the industry. The slides are here.